If adulting is about calmly and rationally taking control of your life and the things that need to get done, addiction turns you into a perpetual child, forcing all of the people around you to take care of you and clean up the messes you leave behind. That’s as long as you still have people around you. The first half of The Night of the Gun is about the disaster of addiction, the perpetual doing things half-assed if you’re going to do them at all, the constant pursuit of feeling good over everything else. 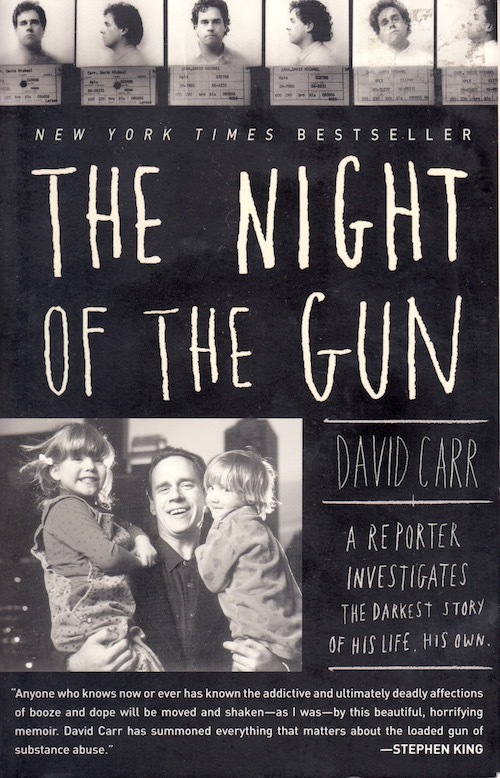 David Carr’s trick is that he uses his reporting skills to go back and talk to people from his life and look at fun documents like his arrest record to clarify everything that happened. I have a feeling I’m going to come back to this one when I’m in the bad times. Next Next post: Lime sherbet + graham crackers = key lime pie sherbet? Work with me here.